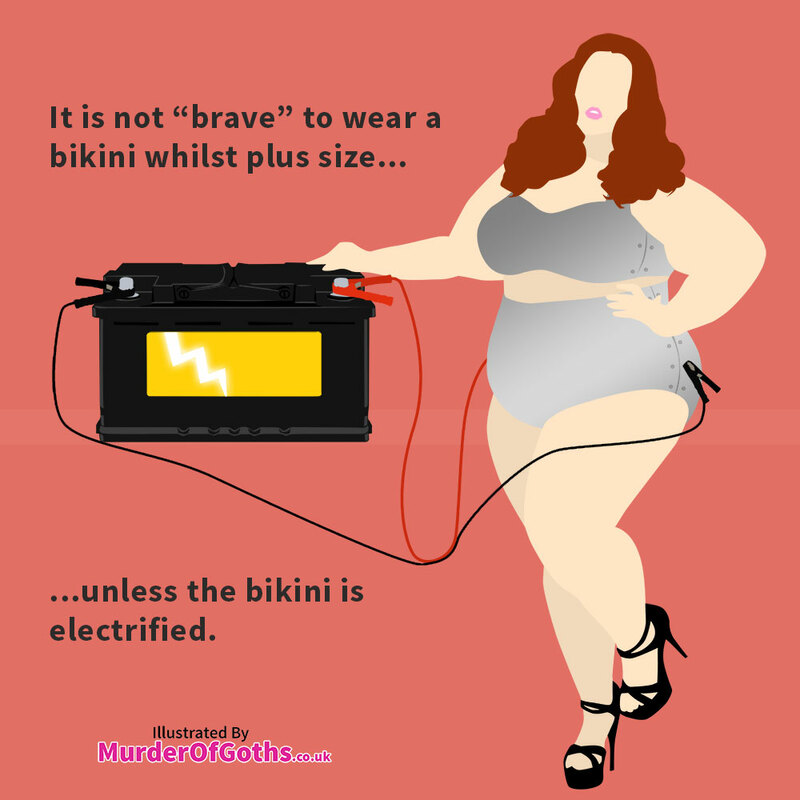 You’ve probably seen it before, when a plus size woman wears something revealing like a bikini, they are told they are “brave” or “daring”. On the surface this seems like a sensible statement, there’s so much stigma attached to being plus size and wearing any clothes, let alone revealing ones. We are taught to be ashamed, scared of being seen, scared of being judged. Here’s the thing though, it isn’t, and shouldn’t be, seen as a brave act. 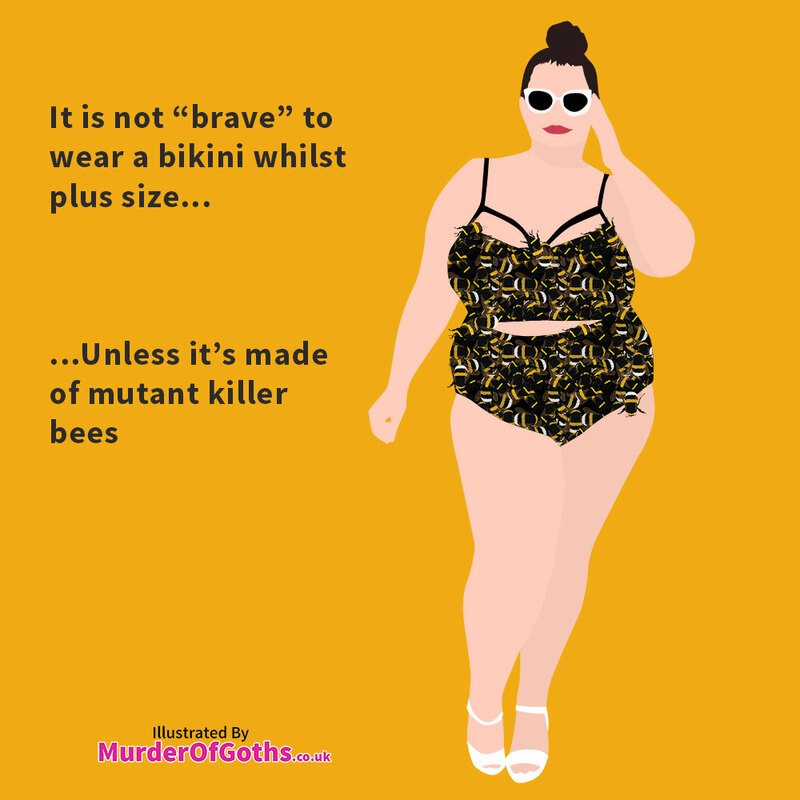 While it is a big deal to go against those beauty norms, and risk the judgement and comments, it is not something that should be seen as a brave thing to do by others. 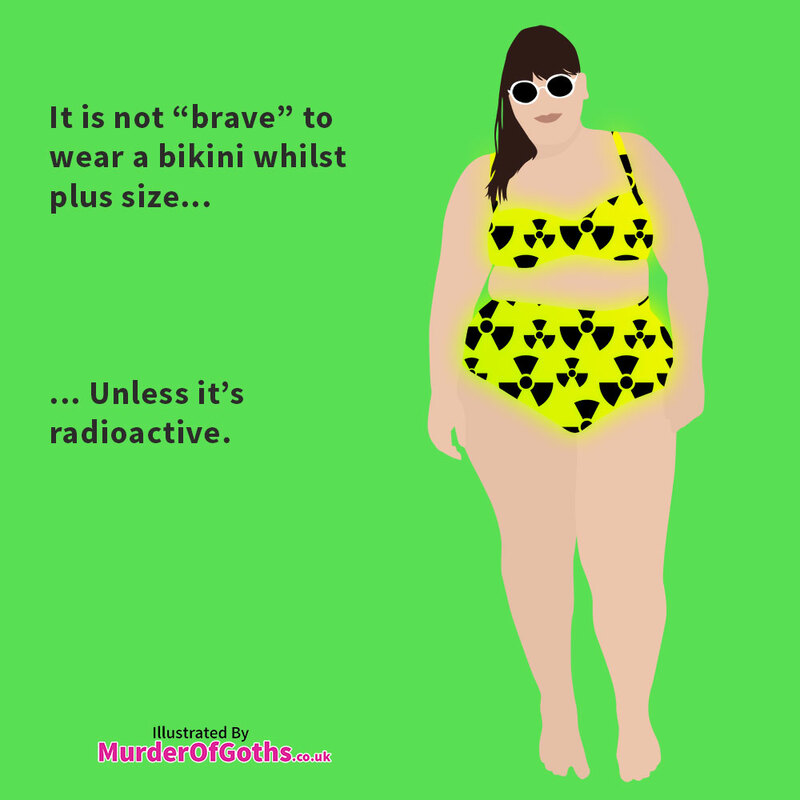 Because by seeing it as daring, they are saying that a plus size woman in a bikini is a dangerous and scary choice. Jessica Kane says it really well. 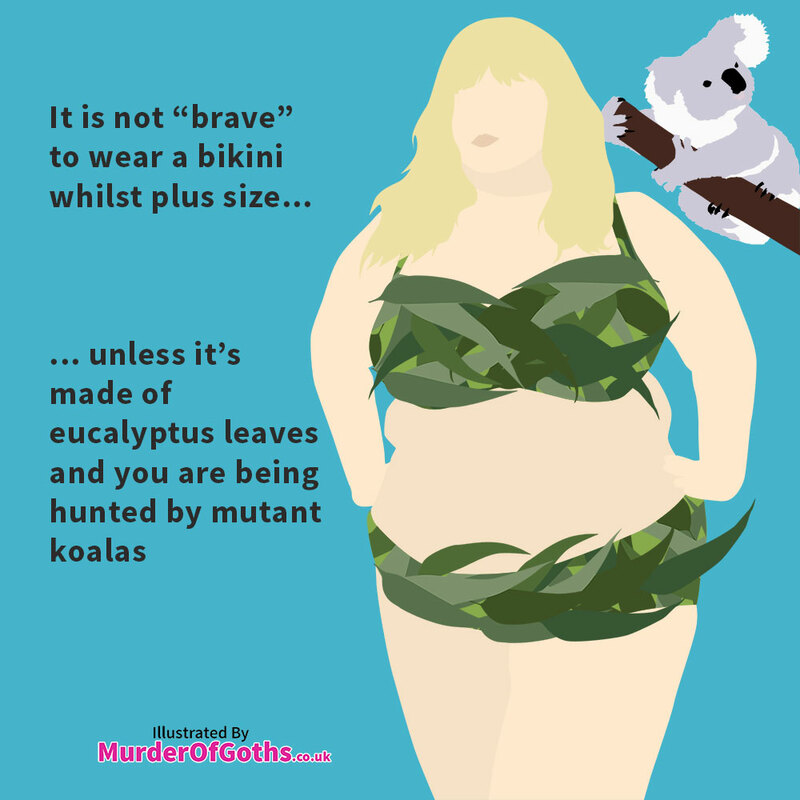 When would wearing a plus size bikini be brave…?